It’s been a week of amazing news and releases from this years E3. 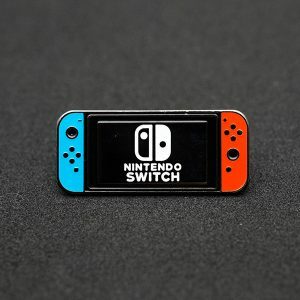 To celebrate, I had to feature this colorful Nintendo Switch Pin by Pin for All for this weeks Featured Pin. This soft enamel pin is just over 1″ wide and goes for $11.99 at Pin for All’s Etsy Store.